Our Saturday class operates between 9.30am and 2pm. The teaching day starts with physical and vocal warm up. The teaching time is a mixture of Drama, voice work, dance and theatre skills. Some stage and technical management is also included from time to time. There may be occasions when we vary the format, particularly when rehearsing for a show. The teaching groups are split roughly according to age with some allowance for experience. Currently, the age ranges are 6-9, 10-11,12-13 and 14-16. Lessons are taken by teachers with CRB police clearance. Additional supervision is supplied as required by parents to maintain a suitable student / adult balance. Any teacher used from outside the school will either be similarly cleared or supervised by a member of the Theatre School staff. Qualified first aiders are available on the premises for all Theatre School activities. The Theatre School runs during normal school term time. There is no half term break, and one Saturday off for Easter. The school newsletter will be used to announce the first and last days of term. Students are expected to attend each week. If they are unable to attend they should inform the school the previous week if possible or, if insufficient lead in time, call the Theatre admin on either 01642 551389 or pass a message to the box office on 01642 552663 if the admin office is closed. Students are required to remain on the premises from the time of their arrival until they are collected at the end of classes. Students expecting to be collected at the end of classes are required to wait in the bar area until their lift arrives. School policy forbids students to wait to be collected anywhere else. Please let us know if your child is due to be collected by a different adult. Our current fees are £15.00 per week payable in advance in 4-week blocks of £60.00. The first week is usually paid as a single week trial for new students. Fees are due on the first week of each block of 4. Please note failure to pay fees on time could jeopardise your child’s place in theatre school. Fees are still charged for weeks where the student has not attended. However, two unpaid holiday weeks are permitted each year by arrangement where no fees are charged. All monies are non-refundable. Students are required to purchase at least one Theatre School polo shirt to be worn on all Theatre School occasions. In addition, students are required to wear black, rubber-soled jazz shoes for lessons and performances. Students should also wear loose fitting trousers (not hipster fit, or jeans) or shorts for lessons. This dress code is mandatory for all lessons. Whilst there may be open days or other outside performances, the main focus of the school year is the annual show in the Summer Term. This will use the Forum Theatre stage with professional stage crew. Rehearsals will begin in the New Year and will take place during normal teaching time. Any extra rehearsals will be by arrangement with students and parents. Attendance is MANDATORY for the last 2 Saturdays prior to the performance weekend. On the weekend of the performance, attendance is also mandatory all rehearsals on Saturday and Sunday. Attendance during Summer Term will be monitored and missing rehearsal may affect your child’s participation in the performance. On occasions, the school may be asked to offer students to take part in productions by other companies. 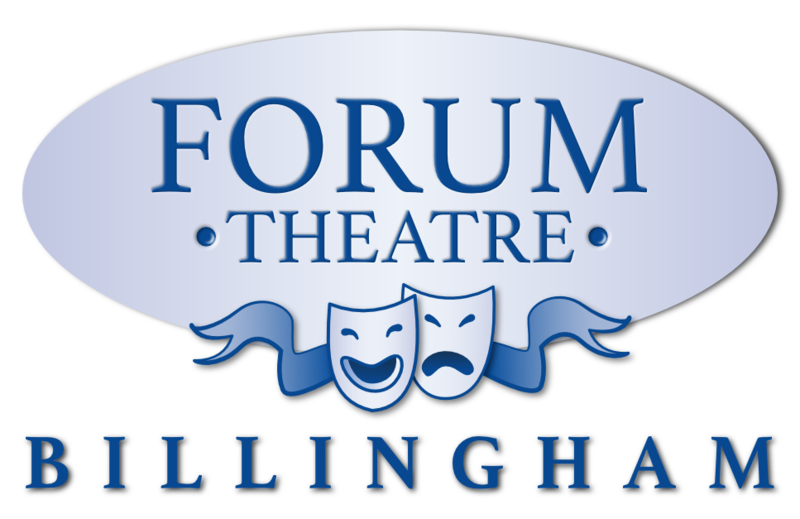 This has included professional work for TV, music and stage productions and the Billingham Forum Theatre Pantomime. Whilst we may recommend, with parental consent, suitable students who have been with us a minimum of one full term, any agreement is between the parent / guardian of the student and the production company. The Theatre School cannot accept any responsibility or liability for work done by students with other companies. As with all schools, the Theatre School has a disciplinary policy. Students who are continually disruptive may be asked to leave the school. If the Theatre School staff agree that that such students may still be able to make a positive contribution to the school, they may be offered probation for an appropriate period in which to demonstrate their commitment to the success of the Theatre School. At any time, students may be asked to take part in recordings, photographs, videos, etc. for either private or public circulation. As part of the registration process you are required to sign a form giving consent to be included in such publicity. 1. Arrive in good time for registration promptly at 9:30am. 3. Wear a Theatre School top, black, rubber soled jazz shoes and loose trousers – no hipsters or jeans. 4. Switch off mobile phones between 9:30 and 2:00pm, including lunchtime. Emergency calls can be made from the office telephone. 5. Do not chew gum between 9:30 and 2:00pm. 8. Bring food and drink to cover the lunch break. Nothing heated for reasons of Health and Safety. 3. Collect students from the bar area promptly at 2:00pm. 4. Ensure fees are paid promptly.